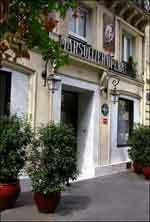 In the heart of Paris, between the Opera and the Louvre Musuem, the hotel Louvre Marsollier Opera is a stylish hotel where the famous Oscar Wilde lived in the late XIXth century. In the heart of historical Paris, close to the business district, department stores and some of the most beautiful Parisian monuments ( the Louvre, the Opera house, the Musée d'Orsay, Notre Dame, la Concorde, the Champs Elysées, etc), the HOTEL LOUVRE MARSOLLIER OPERA offers you its refined setting and the cosy comfort of its 28 rooms where everything has been planned for your relaxation. 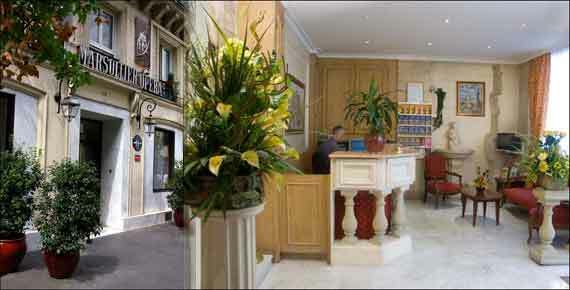 The hotel Louvre Marsollier Opera Paris is located in a calm street in the center of the prestigious Opera neighbourhood. the Roissy bus terminal connecting Roissy Charles de Gaulle Airport with the Opera House. The Opera RER station : AUBER, direct connection to Paris la Defense and Eurodisney. Metro "4 septembre" and "Pyramides". A sheltered guarded parking opened 24h a day.